2. 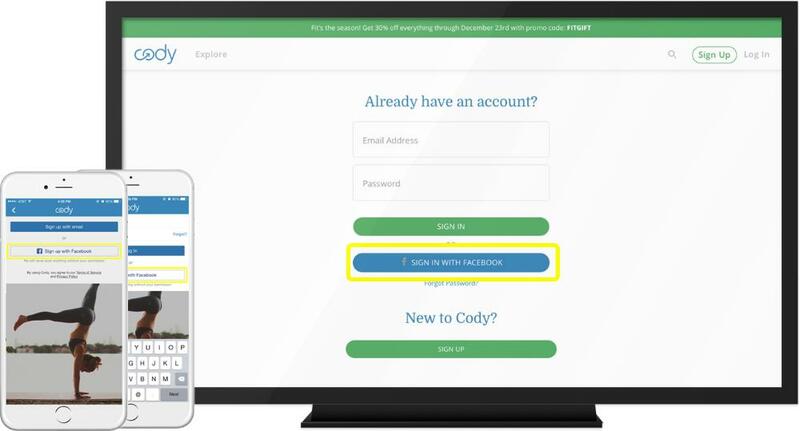 If you can find your plans on one of your devices, but not the other, and are logged in to an account on both devices, you may have two accounts registered with Cody. This can sometimes happen if "Sign In With Facebook" is accidentally clicked instead of "Sign In" on either our website or free iOS and Android app. If you have two accounts, go ahead and shoot us an email and we can help to merge them. You can learn how to find out what email address you are logged in with here. 3. If you have saved a plan or made a purchase on your Apple TV but do not see it on your other devices, go ahead and take a look at this article to restore your plans and learn a little more about Apple TV. If you still cannot find your plans, go ahead and shoot us an email and we will be with your shortly!